Lowbudget Records are proud to present our second Blu Ray! 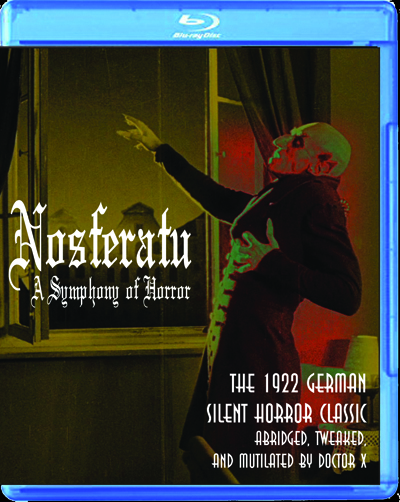 This Blu Ray contains an abridged version of perhaps the creepiest vampire film of all time - the classic "Nosferatu" from the Golden Age of German Cinema. We've edited and tinted the original, replaced title cards with subtitles, removed some of the slower scenes, and otherwise performed digital mayhem on a revered classic! We've also provided an "uneasy listening" soundtrack by Doctor X (Tim Casey), inspired by the avant-garde groups liminal of N.Y.C. and Urban Ambience of Boston.